Auto fill with top mounted controls. 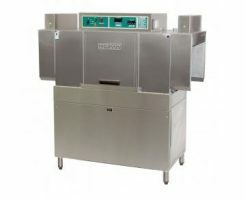 Includes 4 x plate racks, 2 x cup / cutlery racks. 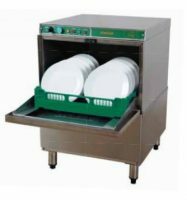 Optional extras include: Heavy duty hot air blower dryer, 12kw or 15kw, Angle Feed 90 / 180deg exit power curve, Extended hoods and vent spigots, rinse booster pump and insulated panels. 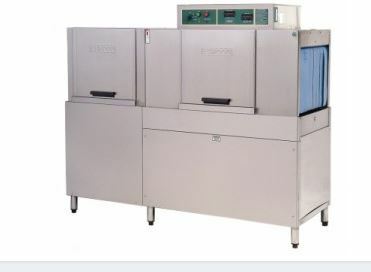 Automatic In-line Conveyor Dishwasher. – 100 racks per hour.